Bedding - Foam Solutions Inc. In the bedding industry, there is a wide range of tastes regarding comfort depending on the hardness and material. 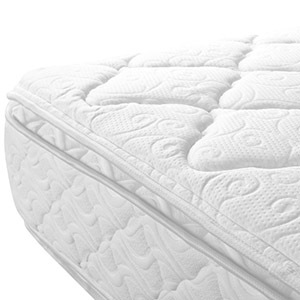 For comfortable solutions, either full-body or just the topping of the mattress is made out of foam. These foams allow the for the development of comfortable, ecological and long-lasting products. Our innovative technology for foam production allows the group to develop different and original solutions maintaining their consistency and endurance. Thick and high quality latex foam sheets with different strength levels for mattresses manufacturing. They are high quality, customized foams that provide a high level of comfort.